With our community partner the Okanagan Regional Library, we hosted a series of nine talks and three workshops . “The Pollinizing Sessions” invited experts who helped the community learn more about important species such as bumble bees and other native bees and insects, about which plants can best support them, about pollinators’ importance to agriculture, and ways to build and support habitat for them. All talks took place at the downtown Kelowna Branch of the Okanagan Regional Library (1380 Ellis St) from 7:00-8:30 PM. They were free of charge. The workshops were also free but people pre-registered as seating was limited. We recorded each talk and you can view them at the links below. Missed this talk? Watch it here. “Beecology: Organic / Biodynamic Food Gardens for People and Pollinators” Missed this talk? Watch it here. “The Relationship Between Bees and Plants: Stresses, Problems, and Solutions” Missed this talk? Watch it here. “Save the Wild Bees: How They Help Produce Our Food, and How You Can Help in their Conservation” Missed this talk? Watch it here. Downtown Kelowna Branch, Okanagan Regional Library, 1380 Ellis St. The first talk in the series took place at the library on Tuesday, November 24th 2015, with Nancy Holmes who talked about the Public Art Pollinator Pasture and with Lorri Dauncey from the Central Okanagan Heritage Society who provided information about the heritage values of Kelowna’s pasture site: Brent’s Grist Mill Park. 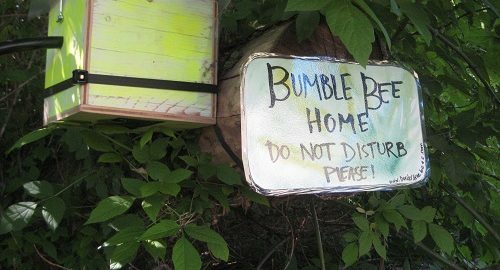 The series is sponsored by the Okanagan Regional Library, The Public Art Pollinator Pasture Project, Border Free Bees, and The Eco Art Incubator in the Faculty of Creative and Critical Studies at UBC Okanagan. The Public Art Pollinator Pasture is a project created through a partnership between UBC, The City of Kelowna, The City of Richmond and Emily Carr University of Art and Design.